Special Terms: Member rewards not eligible on the purchase of gift cards or orders redeemed with gift cards or vouchers. Tax and shipping charges are not included in member rewards. 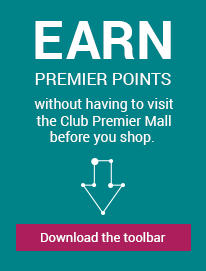 Coupon or promo codes not displayed on this site and purchases made from links where the customer is leaving the gap.com web site are ineligible for member rewards. Member rewards are not eligible on Gap Outlet/Factory, Banana Republic Factory items. Purchases made offline are not eligible for rewards. Shipping charges and expected delivery dates are displayed in your shopping bag at the time of your order. This information also appears in your order confirmation email. We package and ship your order as soon as we get credit card authorization and verification. Based on our warehouse location and your shipping address, we determine the most efficient shipping carrier for your order. The carriers that may be used include, the U.S. Postal Service (USPS), United Parcel Service (UPS), FedEx, United Delivery Services (UDS), LaserShip and OnTrac. The taxes we charge on merchandise are based on state and local tax laws and tax rates. The tax for an order depends on the delivery address and the location from which the order is shipped. If an order is made up of items shipped from multiple warehouses to a single delivery address, the tax rate applied to the order may vary based on the warehouse locations. Where required, tax is also applied to the shipping and handling charges. If you return an item for a refund, that refund includes the taxes you paid for the item. There is no refund for taxes paid on shipping and handling, because shipping and handling charges are nonrefundable as soon as an item has been shipped. We accept Visa, MasterCard, American Express, Discover/Novus, Japanese Credit Bank (JCB), Diners Club, Gap Visa card, Old Navy Visa card, Banana Republic Visa card, Athleta Visa card. Items must be return within 45 days of purchase by mail or to a store. To receive a refund for items returned by mail, items must be received at our facility within 45 days of ordering. Please allow 5-7 days for return mail. Items that are eligible to be returned or exchanged are items that are in their original condition: unwashed and unworn. Items not in this condition will not be accepted. Items which are damaged or defective may be returned at any time. Final sale items cannot be returned or exchanged.